If you recall, I've mentioned a few times that my oldest child has ADHD. He's completely brilliant and his teachers are always asking me how he knows so many things and have often joked that my son could have taught one of the lessons they had discussed that day. When you have ADHD, even though it may be difficult to focus on some tasks- especially those you don't like, you can focus a great deal on something that you do like and it's something that the child or adult is going to retain pretty much forever. Unfortunately for us, learning to read was not one of his favorite things to do. I had tried to sit down with him with books that he liked and he wouldn't even try. Usually the whole 20-30 minutes of reading was him screaming and saying no. So what did I do? I went to Pinterest and I tried to find some fun games and learning activities to try. I had even made up my own board game with Velcro pieces, but it was too complicated and time consuming for his age to sit down and learn and no one else wanted to play. So I had to find something that worked and when I did, it was amazing! Have you ever heard of a Word Wall? I hadn't, but it looked like something easy to do so I tried it. This one has been well used and needs an update. Today I thought I would show you how to make this, how to use this, and tell you why it works. Why Does This Board Work? According to what my son's teacher said at curriculum night, studies have shown that repetition is one of the best ways to learn. Practice makes perfect. Have you ever taken the same route to work and back home every day? What happens? There have been times when I get somewhere and I barely remember the trip there because I've driven it so much that my mind and body drives for me. It's called going on auto-pilot. That's why, when you change up that habit, you sometimes miss a turn you were supposed to turn on because you're used to going somewhere else. When this is applied to learning, your child will see the word, they'll say the word, and then forget the word.... unless you show them again and again and again. One day, or maybe just a few minutes later, that word is remembered. Then you mix up the order and see if they still remember it. For more details and better explanations, you can see what Reading Bright Star has to say about this. How to Use This Board? Here is a video on how to use it. You'll have to excuse my breathing, allergens are high in this area and I didn't realize how stuffy I sounded when I was making this video. 1. Put all of the cards in slot one. 2. Have your child read it. If they can, put that card in slot two. If they can't put it into slot 1. Do it again tomorrow. 3. Start with slot 2. If your child can read that word, move it to slot 3. If they can't, you can do one of two things. You can keep it in slot two to try tomorrow, or you can move it back a slot. Do it again tomorrow. 4. Now we have some cards in slot three. Start with that slot. If they can read it, put the card into slot 4. If they can't, you can decide to do one of three things. You can put that card back into slot three and they can try tomorrow, you can move it back a slot, or you can have your child start that card all over again. 5. The goal is to have your child read that word from slot 1 to slot 7. I recommend putting a missed word either in the slot before or start right back at slot 1 so they have to read it correctly 7 days in order to have it completely memorized. If they don't know it on day 3, but know it on day 4, they still had a day they missed it. It's up to you. 1. Poster Board- I used a black one because I like how it looks with the neon colors. 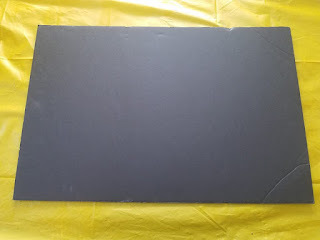 My poster board is also thick and kind of foam like so it is more sturdy. some dents and scrapes on it, but most of it can be covered up. 4 . 4 3/4''x 6 1/2'' envelopes. They don't have to be that exact size, but make sure they are more square then the regular letter size envelopes because it will be hard to fit the index cards in, otherwise. The first thing you're going to want to do is decide what you want the title of your board to be and then write it. 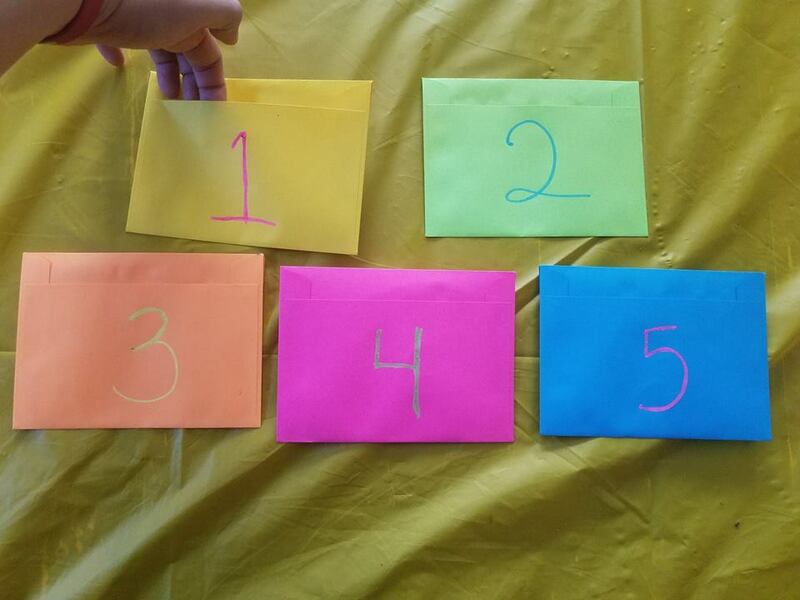 Write numbers on your envelopes. These will represent the day of the week. I have five envelopes here, but I ended up doing seven days. Write the numbers on the side where the slit is. See how I can put my hand inside the envelope? I would have used a black marker or sharpie, but my sharpies are missing.... I should be afraid, very afraid. Glue your numbered envelopes to the board. It doesn't matter how they are glued as long as they are in order. I went with straight lines, but you can make them into waves or a circle or however you want to glue them. JUST KEEP THEM IN ORDER. This is the most important thing for this word wall. To have a word wall, you need words. 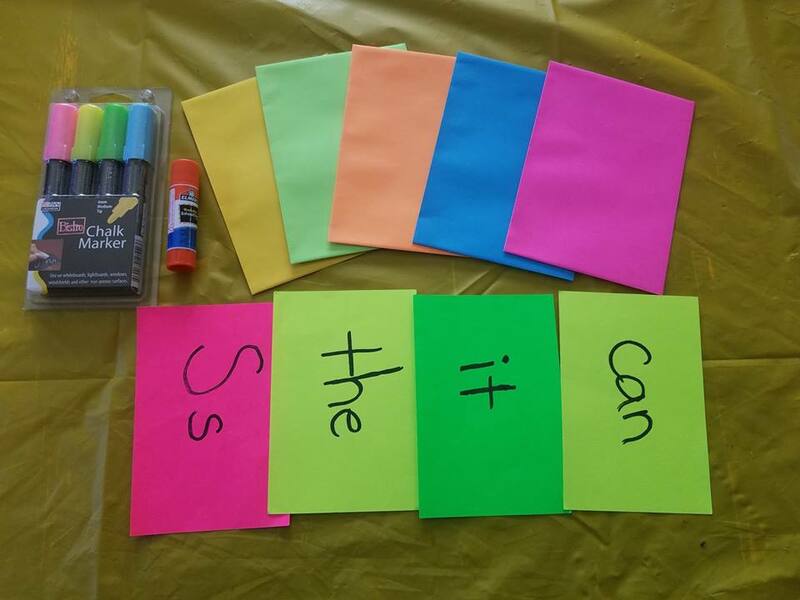 For my last word wall, I bought some neon colored index cards and color coded them for my kids. My daughter was just learning her alphabet so she had orange and pink cards with the letters written out on them and my son got the green and yellow with his sight words listed on them. You can do whatever you'd like. If your school doesn't send home sight words for your child, there are different pin boards that will list some. 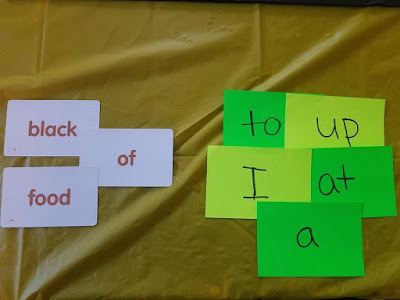 Another thing that I didn't know about before I made the board was that I could buy sight word cards. It does take time to write out the sight words, but I like the extra color and it also makes it more versatile for me. Once my kids learn all their words, I can always write down bigger words for them to learn. Start with age appropriate words and then work your way up. Since my son is learning cursive, this year, I'm going to make him some letters and word in cursive to help him practice. Don't forget to watch the video, above to learn how to use the word wall. It's really easy to do and this has been the BEST tool that I've used for my son. I hope that this will work for you as well! What learning tools have you used for your children? Is this something that you think you'd enjoy using? Stay tuned for some learning material in learning to help your child multiply and divide in an upcoming post! 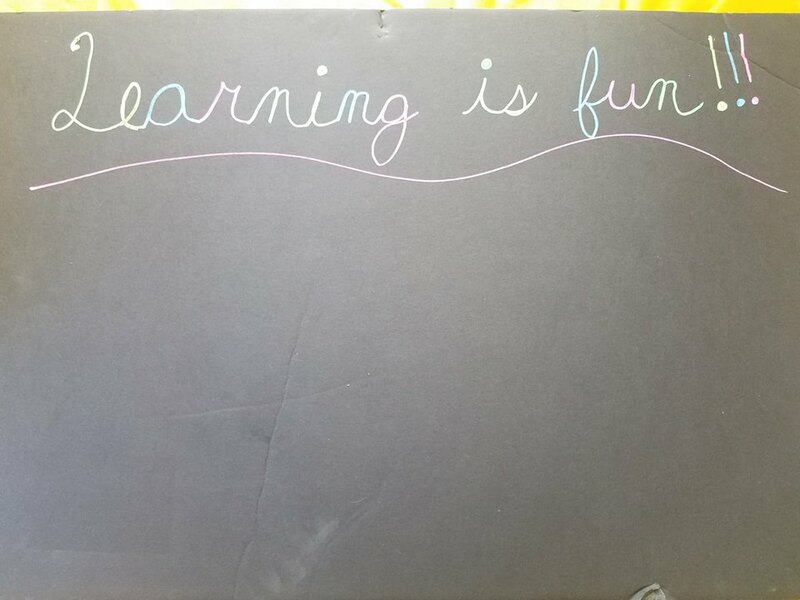 The bright colors make learning fun. I so agree with the repetition to learning. It's just as fun for me as it is for them! This is a great idea! When I was little my mom made flash cards to help me learn to read, too. My son loves it. You only use it once a day, so he reads his words and then does it again, tomorrow. Wow this board looks really helpful. I think this would be a great way for children to learn to read easier. It has helped my kids very much. This is such a good idea. I will have to make note of this for a friend. It was incredibly easy to make and even easier to use. My kids love it. You can even use it for math like when learning multiplication and division or any other subjects. Thanks! My kids were excited when they saw I made a new one. This will Definitely help me help my kids along with other mom/dads!! Thanks for the share ! This is an interesting board! It definitely seems like a great way to teach and help as well as fun! The best part about it, is that you don't have to spend a lot of time working with it, either. If your child doesn't know a word, maybe run through the cards a few more times, and then start again tomorrow. 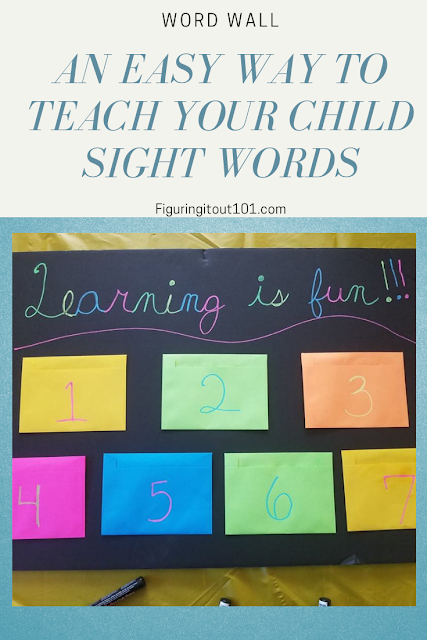 This is very easy and constructive way for both of you to see progress made on sight words. I just love this idea! You did such an amazing job here. I'll have to pass this onto my friends who have small kids. That’s pretty neat sis! Creative. :) I bet the kids love it. Did you have good luck when your second kid was learning this way too? We are just starting with her. She wasn't very interested in it when we first started last year, but now she's excited. Such a fun way to teach, I'll definitely be using this for my LO. These bright colours are so lovely. 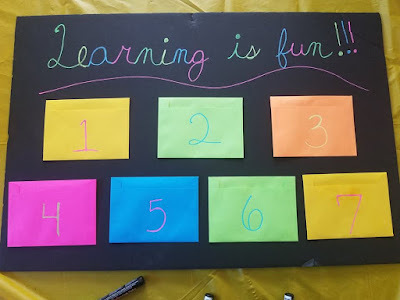 And this is so fun and when you are having fun learning becomes easier too. 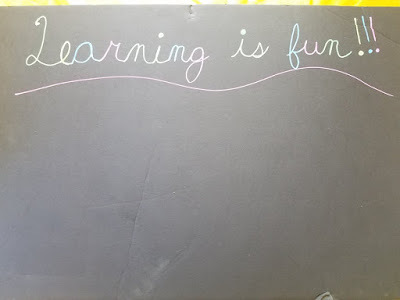 Having fun has made a world of difference when it comes to learning, for me and my kids. What an awesome way to teach sight words! My daughter is in kindergarten and my youngest just turned two so perfect ages to do this with them! I started with the alphabet for my daughter when she was in preschool. Now she's learning sight words, so this is very helpful! Love DIY hacks to entertain kids. These are good ideas. This is great. I am working on sight words with my youngest and she is having some what of a hard time with flash cards. I will try this. 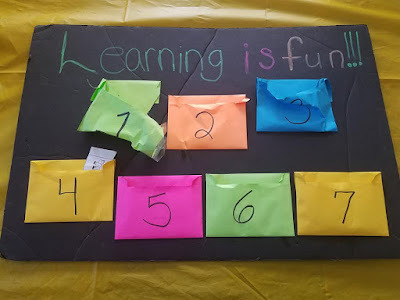 Very cute and creative way to get the kids to learn. I used boring index cards when teaching my son. My son would pitch a fit whenever I used regular cards. I was desperate to find something new and the colors tricked him. Memorization and repetition definitely work wonders. This sounds very helpful and a great learning tool DIY. This is such a great learning tool! 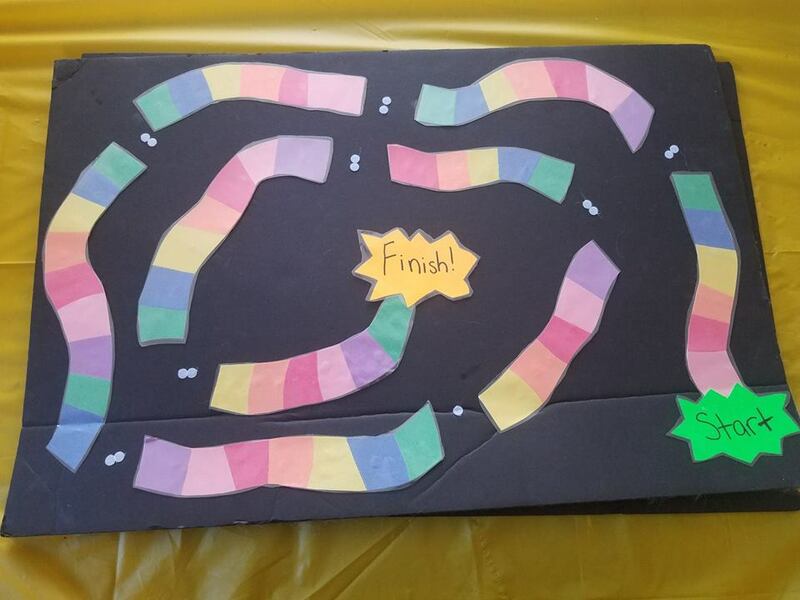 I love making my own learning games like this. It makes it more fun and personal. I wish I could take full credit for this, but I saw it somewhere else last year. This was before I really started using Pinterest. The board game is all my own. this looks like a great game, and perfect for my daughters age group! im going to need to make a mental note of it for later in the school year when shes at this point in her learning. It can also work for math. My son is learning multiplication and division, this year, so this will come in handy for that. These learning tips and tools are so fantastic. It's so important to take an interest in your child's reading and learning. It is very important! Especially when the way that schools grades their students, these days. I didn't know that my son was behind when he started second grade last year until I went to my daughter's kindergarten parent/teacher conference and learned that what she was expected to do was the same that her older brother was doing right then. No one ever said that he was behind until I asked about it. This word wall got him caught up very quickly. Great idea. 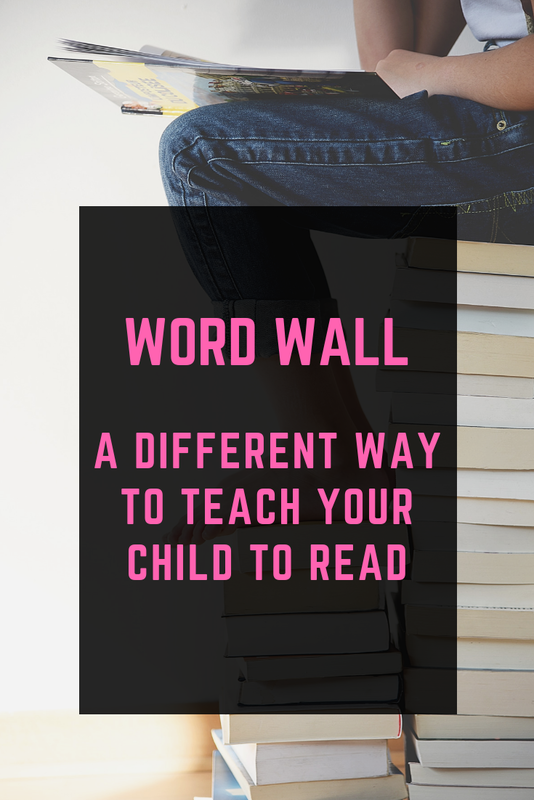 I used to be a reading specialist, and anything you find that works for your kid is worth doing. I hope this continues to be effective for you. Thanks for sharing this learning hack for kids. I will share this to my Momma friends. I love this, we are teaching my daughter to read and these are some great tips to help her learn. This definitely looks like a fun way to get children to learn how to read!!! Our daughter loves books!! She's only 2, but I'm excited for her to get to this point one day! She loves learning already. That's fantastic! I hope she loves it too! There is a big difference between my boys and my daughter. She likes to sit down and read with us. The boys are always up and down. This is such a great way to help children with their reading. You're spot on that repetition helps everyone learn. This would also help teach that it's ok to make mistakes but you just need to keep trying, eventually reaching your goal. They love when they can move a word to the next day. It definitely always starts with those sight words. These are some great ideas to get them started with it. You're welcome! 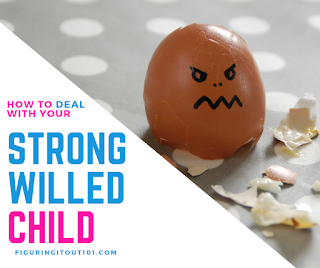 I hope that this can help other parents! These reading hacks are great for parents of younger kids. As a literacy teacher I know how important reading instruction is. My daughter doesn't like to try right now until she's confident that she knows the answer and this has helped.